An innovative footwear manufacturer that pays fair wages and uses locally sourced materials is helping to transform the economic landscape in Ethiopia. SoleRebels, which was founded by Bethlehem Tilahun Alemu in 2004, has become Africa’s largest footwear brand, with its range of artisan-made shoes now selling in 55 countries. In 2011, the company ramped up US$2 million in sales and it is expecting to generate over US$15-20 million in revenue by 2015. 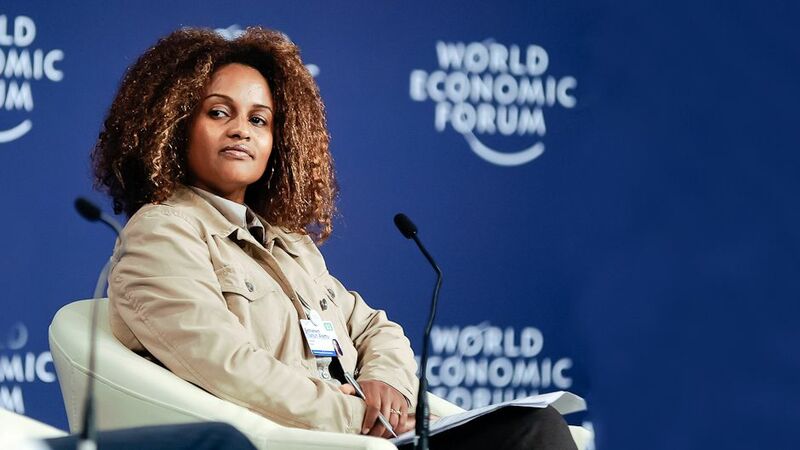 Alemu has become one of Africa’s most celebrated businesswomen. She was featured on the front cover of Forbes magazine in January 2012, and was selected as a “Young Global Leader” by the World Economic Forum 2011. In June 2012, she won the award for “Most Outstanding Businesswoman” at the annual African Business Awards, organized by African Business magazine. Her success with soleRebels is regularly cited as a sign that Ethiopia is ready to transition from being reliant on foreign aid to being able to direct its economic future by exploiting home grown skills, resources and business opportunities. The company is also held up as inspiration for Ethiopia’s newly-emerging private sector, particularly as an example of an export oriented success story. The soleRebels footwear range includes sandals, flip flops and shoes with soles made from recycled car tires. Alemu explained that the recycled car tire-soled shoe has existed in Ethiopia for a long time. She is proud of the production process, stating that all the company’s styles incorporate as much recycled and sustainable materials as possible, with ingredients like handspun and hand-loomed organic cotton fabrics, and natural fibres, including Abyssinian hemp and koba. However, she shuns the term, ‘green business’, stating that she regards it as something of a fad. SoleRebels is also setting a high standard for workers’ rights, providing 100 percent medical coverage for employees and their families and free doctor-run medical checks, as well as providing transport to and from the worksite for workers with disabilities. Alemu insists that workers are treated with respect, noting that on average the company’s 90 employees get paid four times the legal minimum wage and three times the industry average wage for similar work. She also sees lessons for the rest of Africa. Ethiopia’s Solerebels Handcraft Eco Shoes and Win by Charles Arthur is licensed under a Creative Commons Attribution-NonCommercial-ShareAlike 3.0 Unported License. Increasingly, those of us looking into food issues are coming across the complex impacts of fair trade – elite capture, lower than expected levels of disbursements, increasing vulnerability of migrant labourers, and the fact that most of the profits in the system are accumulated by the western supermarkets, marketing companies etc. It is good to read this. Clearly fair trade can work, particularly if it sits within a wider framework of principles (sustainability, local growth, community resilience, transparency). I’ll be following Alemu closely fo inspirations and lessons for the fair trade food industry.